One temptation with television is to depict the rise and resolution of conflict within the comfortable confines of a single episode. 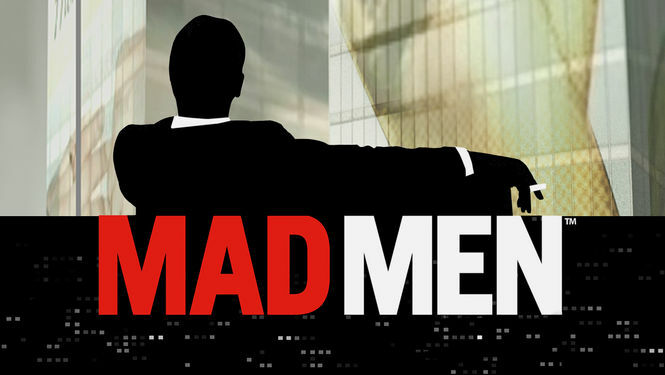 Mad Men, however, demonstrates tremendous patience by resisting the impulse to resolve conflict too quickly. Issues that have long been simmering beneath the surface are finally dealt with head-on, be it constructively or destructively. Peggy Olson’s growing dissatisfaction with Sterling Cooper Draper Pryce finally drives her to make an important decision. Joan Harris’s frustration with her lackluster husband Greg finally surfaces. Pete’s panicky dissatisfaction with married life drives him away from home and, once away, into deep remorse. This fifth season of Mad Men is thus deeply fulfilling because it provides answers to things we’ve long been wondering about as an audience. Previous seasons could be defined by one of Don’s mantras: “It never happened.” The most recent season is a pivotal shift toward acknowledging things have happened and the need to start acting accordingly. The most recent season is also a try at a fresh start for Don, particularly in his second marriage to Megan. As Mad Men creator Matthew Weiner said in an interview earlier this year, “They have this incredible carnal relationship that’s based on the twisting of power. It’s very animal …” Unlike Betty (whose malaise intensifies this season), Megan does not allow Don’s domineering tendency to go unchallenged in their marriage, which keeps us interested in whether Don is able to stay on track or if he is bound to derail once again. Last year, I shared why Parenthood was more meaningful now that my wife and I have a daughter and the show does a good job of humanizing parenting. This year, Parenthood is meaningful for less joyful reasons. A few months ago, my father was diagnosed with prostate cancer. It has been complicated, but all things considered, my father is doing well and we are hopeful. What makes this season of Parenthood special to me is how they have graciously handled one of the main character’s battle with cancer. They have not sensationalized the situation, and given that I am in the midst of walking through this with my father, I actually find comfort in watching these fictional characters do something similar. In the final few episodes of the first half of the fifth season of Breaking Bad, Walt’s imaginative brilliance—though spectacular—begins to show its fatal deficiency. Struggling to come up with the materials to maintain a steady flow of production, Walt is forced to come up with an elaborate plan to rob a train transporting a shipment of methylamine. It may be the pinnacle of Walt’s megalomaniacal escapades. But in the aftermath of a successful steal (spoiler alert! ), the whole plan goes awry when a young boy sees the crew, and Todd, Walt’s young associate, instinctively pulls out a gun and, fearing the mission could be compromised, shoots the boy in the head. While Jesse is inconsolable over the boy’s death, Walt’s conclusion—that Todd was merely doing what was necessary—comes a little too easily. Walt says that he is agonizing over the incident, but his demeanor suggests a brazen callousness. Walt’s hardened response is depicted well when, after he tries to assuage Jesse’s conscience on the matter, he can be heard whistling a little too gleefully as Jesse—increasingly mortified by his formerly mild-mannered science teacher’s behavior—is leaving the cook site. After watching the first season of Downton Abbey in a matter of days, let’s just say I was hooked. With each episode, I’ve been so eager to see what would happen to the beloved Lord Grantham, the Crawleys, and the affairs of the household. In this season, as much happens upstairs in Downton with the Crawleys as it does downstairs with the servants. As the stories developed this season, we witness the characters display heroism in decisions they must make and the situations they encounter. The favorite characters showcase again why they are loved and rooted for. The difficult characters remind us of the struggle to root for them when they are not acting in the most heroic way; they can be pitied, because, we too, are flawed and often make poor decisions. Regardless, there is something in us all that desires to see the heroic character do what is right. As ordinary people who often struggle to do what is right and act in heroic ways, we need someone to root for us too. The second season of New Girl has done the impossible: They’ve managed to take Zooey Deschanel’s character out of the spotlight. And why would you want to do this, you ask? In Season 1, it was as if everyone felt a bit uncomfortable with the fact that Deschanel was always standing in the room—the characters, the other actors, the writers, and worst of all, the audience. It was beyond awkward or “adorkable”—it felt totally unnatural at times. Indeed, Parks and Rec sets itself apart from a whole host of television sitcoms with its bright-eyed optimism about work and one another. While the first season offered up a host of characters that seemed too silly for redemption, it has managed to pull off a redemptive storyline, reinforcing both our astonishment at the characters’ absurdity and our deep affection for them at the same time. Solid romance is hard to find on television. Especially with the nature of a broadcast paradigm in which series’ writers can never be sure whether they’ll have to wrap storylines by season’s end or stretch them for seven more years, it can be difficult for television relationships not to feel artificial. Queen In-Hyun’s Man is only sixteen episodes long; at 800 minutes (nearly two hours longer than the LOTR trilogy), the show is essentially a stretched out mini-series. And because of its finite, quantified structure the program was able to draw forth one of the most satisfying love stories I’ve ever encountered, whether on film or television. Queen In-Hyun’s Man is a show that made me fall in love with love. I highly recommend watching this with your wife or husband or boyfriend or girlfriend or that special someone who doesn’t yet know they’re a special someone and may die at terrible awkwardness of sitting in a room with you while witnessing the birth of a romance singularity. At the very least, the sheer adorableness of all the love and romance and sword fighting and time travel will give you a good reason to say “I love you” to someone important. The third season of Community was a bittersweet one. On the one hand, the feud between Chevy Chase and Community creator Dan Harmon often overwhelmed the show itself, especially when Chase walked off the set and Harmon tried to publicly humiliate the actor. Harmon was later removed from the show, leaving its future in increasing limbo. On the other hand, the season featured some of Community’s finest moments: “Remedial Chaos Theory” (which explored the characters’ relationships in a brilliantly non-linear fashion); “Urban Matrimony and the Sandwich Arts” (in which Jeff and Britta rant about marriage and Troy and Abed do their best to de-wierd themselves); and the epic, Ken Burns-esque “Pillows and Blankets.” Oh yeah, and the Air Conditioning Repair School tried to lure Troy over to the dark side. Indeed, one could make an entire year-end feature listing nothing but the season’s moments of brilliance. White Collar gave us plenty to think about in 2012, wrapping Season 3 in February and Season 4 in September. The government sanctioned partnership between FBI agent Peter Burke and conman Neal Caffrey continues, but this isn’t the same old catch-the-white-collar-bad-guys plot. Instead, the writers have brought us deeper into the characters’ personal struggles between legal and illegal, right and wrong. Perhaps the best compliment I can pay Sherlock’s second season is that I’m still puzzling over its final moments. The second season saw our titular consulting detective (Benedict Cumberbatch) and his loyal partner, Dr. Watson (Martin Freeman), drawing ever closer to uncovering the nefarious plans and schemes of consulting criminal James Moriarty. Over the course of three episodes, Holmes and Watson faced off against a seductive information broker who proves to be more than Holmes’s equal, a bizarre case of ghostly dogs and military conspiracies, and finally, a rooftop confrontation with the evil genius Moriarty that ended in an absolutely smashing cliffhanger. Jewel Evans, thank you for addressing the glaring omissions from last year’s CaPC 10-best: Downton Abbey! I was excited to see Parks & Rec being represented… But no Walking Dead?!?!? Sad, sad day. Word on the street is that Walking Dead the show is not as good as either the book (expected) or as the videogame (less expected). Is that not so much the case? I can see why some people might not think Walking Dead is up to the level of the book (but really, that’s always the case, right? ), but it’s a pretty amazing show. It would have been pretty high on my list, but to each his own I suppose. Seth I appreciated your note about the way that quality suffers when writers don’t know if a show will last. Why aren’t more TV shows designed with a definite end in mind? I feel like this would be far more powerful for extending DVD sales or streaming video deals down the road, which is a larger and larger piece of consideration these days. Just imagine if Fox had given Firefly a three-year run. Even if they decided to pull it halfway into season two, the DVD sales would have been monstrous when people knew that there was a definite ending to the show and that DVDs would have never-aired episodes on them. Yeah, Ben. When I heard around season three that Lost had a definite end in mind and they had charted out seasons 4, 5, and 6, that got me excited for the show. Whether the conclusion justified the show or not, it was really neat to think that a television show was actually planning for this stuff. That’s actually one of the things my wife and I have appreciated about Korean television. The production schedule pushes to get a complete series broadcast over the course of a couple months (from what I gather, shows air a couple episodes per week). And then when one series ends, a new series fills that time slot. It’s pretty wild. All seven of the Korean shows we’ve so far watched worked essentially as extended movies, with definite beginnings, middles, and ends. And because of this (along with the generally high quality of production and writing), these shows have been some of the most exciting, fulfilling television experiences we’ve had. It would be exciting if American television could adopted something similar in regard to a planned, finite series. What! No Doctor Who! For shame (especially considering all the spiritual allusions). D, I can’t speak for the others, but I got stuck about 7 minutes and 45 seconds into the mannequin episode and couldn’t make it any further. That was just some brutal television. Hahahaha same here Seth. My GF is a big fan so I tried SO HARD but I mean – hard to deny the undeniable awfulness right in front of you (sorry jennifer!). You may not be able to recommend a show that’s this HBO-y, but Boardwalk Empire is fantastic. Oh we totally could. But I don’t think any of us have seen it.